One of the more interesting aspects of the litigation against the Orthodox Bahá'ís brought by the National Spiritual Assembly of the Bahá’ís of the United States headquartered in Wilmette (hereafter called the "sans-Guardian Bahá’ís"), was the way in which the sans-Guardian Bahá’ís acted as if the principles of the Guardianship were created by Charles Mason Remey and Joel B. Marangella. Althought the Orthodox Bahá'ís believe that Shoghi Effendi was the first Guardian, Charles Mason Remey was the second Guardian and Joel B. Marangella was the third Guardian, it was not any of the Guardians who created the idea of the Guardianship. Throughout the litigation, the sans-Guardian Bahá’ís acted as if the principle of the hereditary Guardianship is what distinguishes the Orthodox Bahá'ís from the sans-Guardian Bahá’ís. This, of course, is untrue. The teachings of both organizations have the idea of the hereditary Guardianship. This is a teaching espoused by `Abdu'l-Bahá in His Will and Testament, and Shoghi Effendi (who was accepted by the sans-Guardian Bahá’ís) wrote extensively on the subject. The idea did not originate from the Guardians. The only difference between the sans-Guardian Bahá’ís and the Orthodox Bahá'ís, is that the sans-Guardian Bahá’ís lost their faith in the Covenant after the death of Shoghi Effendi, falsely believing that the essential Institution of the Guardianship had come to an end. However, the fundamental teachings of the Faith have become so lost, that the sans-Guardian Bahá’ís act as if the Guardianship is not part of their teachings. 14 clarify some of the things that you testified to. 2 Justice without which they cannot function. 3 Q. Is the guardianship unique to the Remey NSA? 4 A. To the Remey NSA? 12 the first guardian. How did he become the guardian? 14 [chosen]shows in by Abdu'l Baha to be the first guardian. 17 Remey NSA; is that correct? 19 MR. DOLAN: Objection, leading. 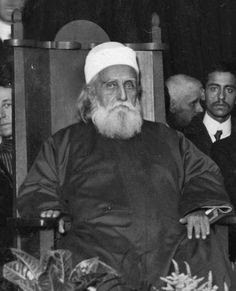 2 son, Abdu'l Baha, to be the center of the covenant. 3 We believe that Shoghi Effendi was the first guardian. 4 The -- what are we calling you? 5 Q. Wilmette group, Wilmette NSA. 8 the point of divergence. 9 A. It is not. 10 Q. Where does the Hand of the Cause come from? 14 was implemented by the first guardian Shoghi Effendi. 19 Q. How about Mason Remey? 2 administrative authority or power? It is unfortunate that the sans-Guardian Bahá’ís have strayed so far away from the original teachings of the Faith that they barely recognize the teachings when they hear it from the mouths of the Orthodox Bahá'ís. For them, the Guardianship and the Hands of the Cause are relics of history instead of the living and vital Institutions of the Administrative Order of Bahá'u'lláh that they were intended to be and they truly are.